A denser than normal bread with a crisp and chewy crust. Flavoured with cinnamon and stuffed with raisins, these are perfect just lightly buttered and topped with cinnamon sugar. Bagels have been a very recent discovery for me. I often don’t bother to check the ingredients on baked goods, presuming they have butter or milk in them, but recently found New York Bakery Company’s bagels are dairy free! And so the last few weeks have been bagel filled whilst I’ve been trying different toppings, and it seems that everyone has their favourite combination. After experimenting with everything from eggs, jams and marmalades, peanut butter and chocolate spread, I have settled on my favourite…. 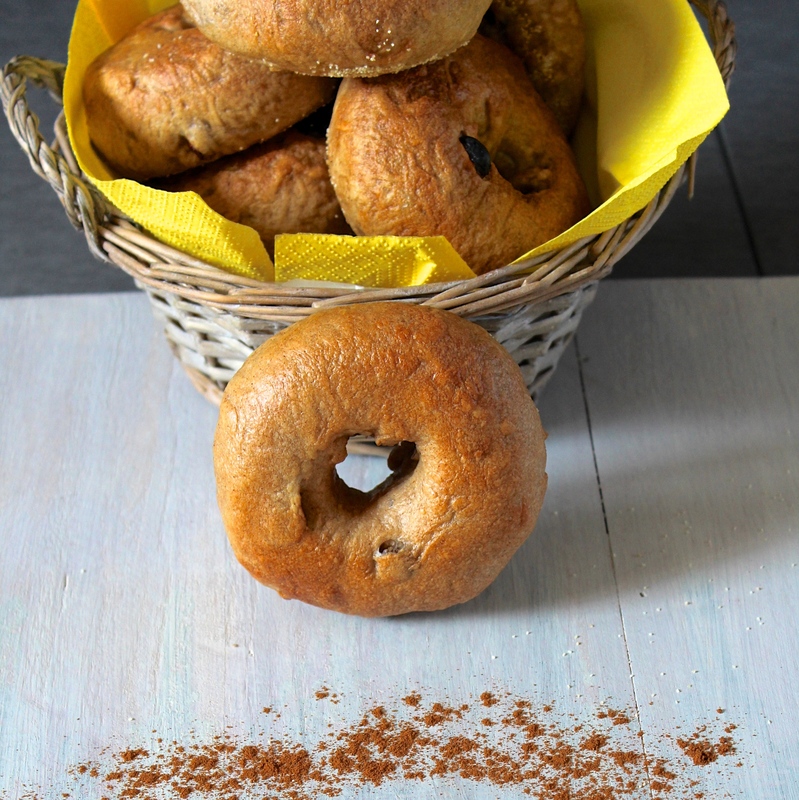 Cinnamon and Raisin Bagels lightly buttered with a cinnamon sugar topping. 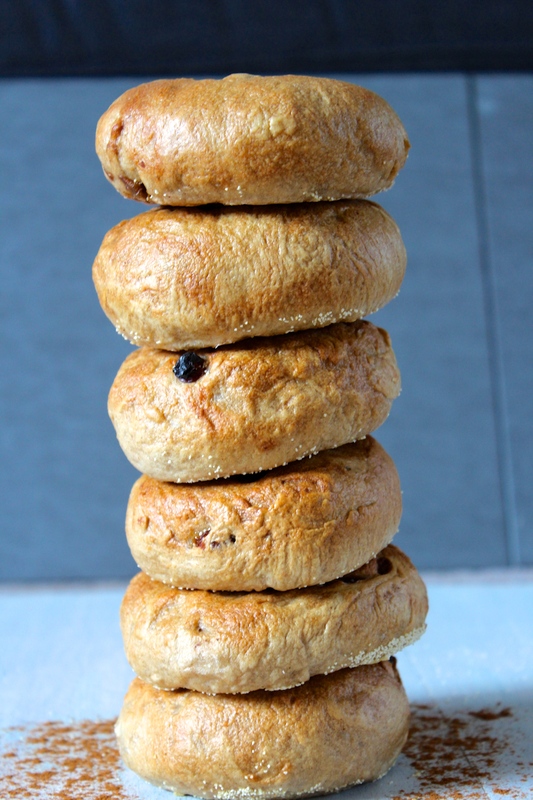 These freshly bakes bagels are so much better than the shop bought variety; more crusty and chewy on the outside, much less dense in the middle. They were perfect just reheated in the oven for a few minutes, split open and then buttered. If you, like me, have no problem with something sweet occasionally for breakfast, sprinkle a pinch of cinnamon and sugar on top too. 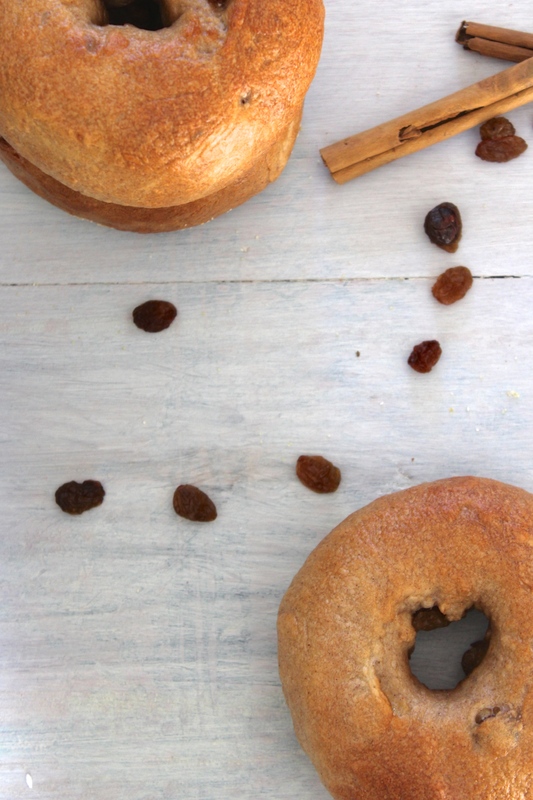 I love cinnamon so am generous with the cinnamon – Although there is quite a lot in the dough already, it only gives a gentle flavour once the bagels have been baked so I like to ramp it up. Bagels on paper did not look that difficult to make – but they were certainly one of the more challenging types of bread that I have made. 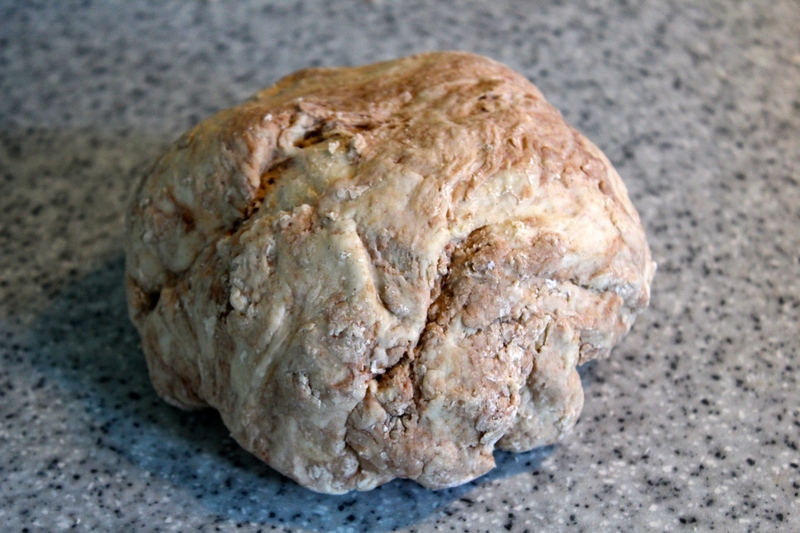 There are two things that made it different to normal dough; One thing is that you make a pre-ferment (sounds complicated but was actually incredibly simple), and the second is that the dough has very low hydration levels, which makes it very stiff and a good work out for your arms to knead it. I would not recommend making these as a first time bread maker, but if you’ve made any sort of bread before you will be fine. The inspiration for this recipe comes from Richard Bertinet’s book ‘Crust’ but has been adapted to make them cinnamon and raisin flavoured. 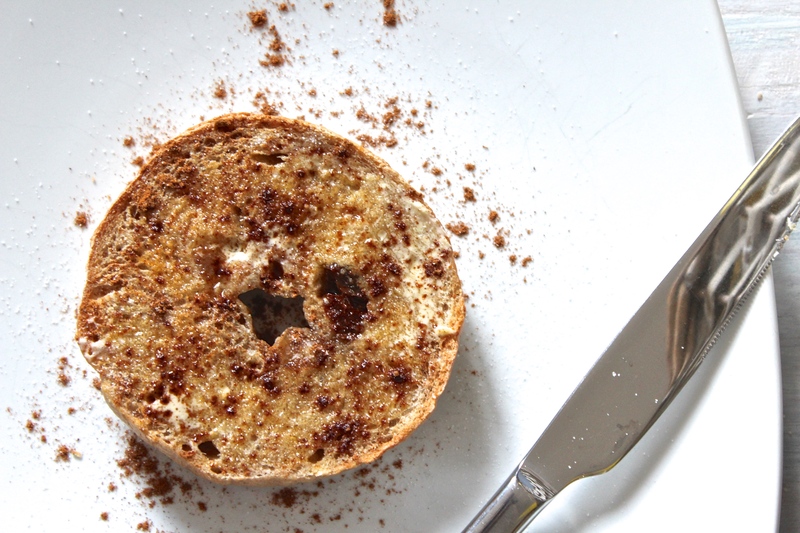 If you wanted to make plain bagels simply omit the cinnamon and raisins and reduce the honey to 20g. With all of that being said these bagels were so delicious and worth the effort that I will definitely be doing them again. It makes me wish we held brunches at our house just to have an excuse to make them regularly! Makes 12, takes 2 hours plus proving, baking and cooling time. Note: Read the recipe carefully for the timings, particularly noting the pre-ferment ideally needs to prove in the fridge overnight. 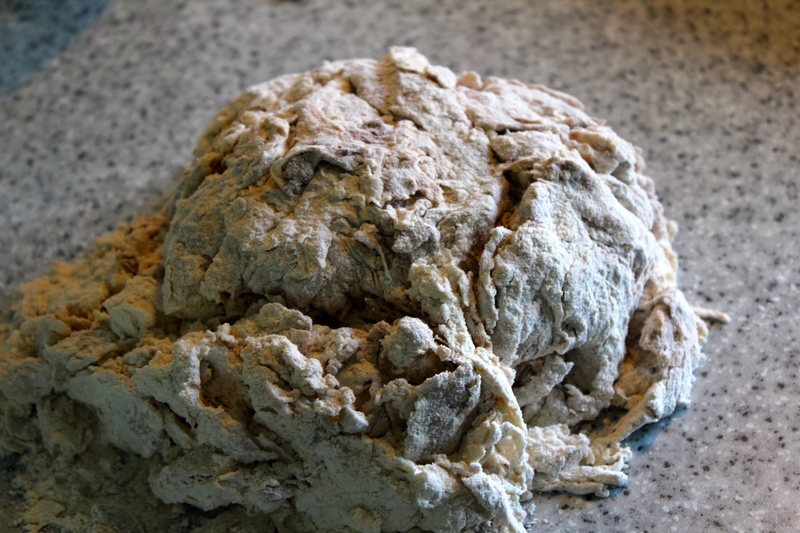 Make the fermented dough by mixing the fermented dough ingredients together. Leave in the bowl covered with clingfilm to ferment for at least 2 hours at room temperature, or ideally overnight in the fridge. 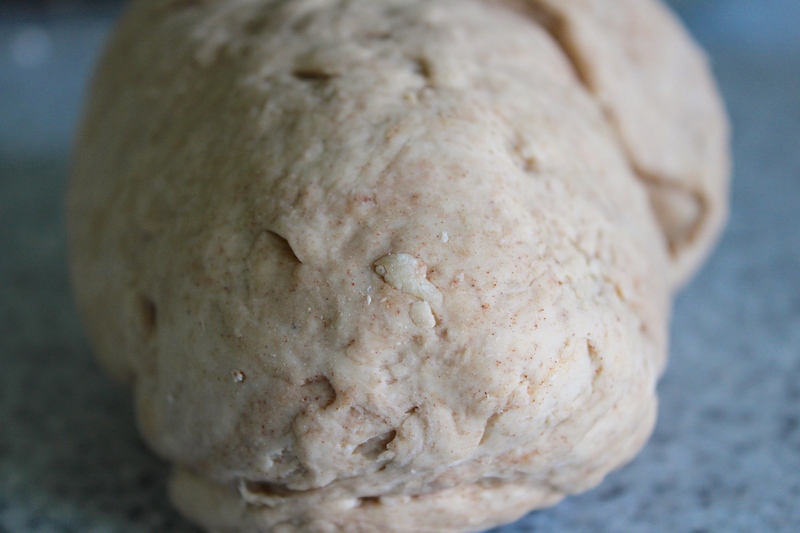 When fermented, add the flour, cinnamon, salt, honey and water to the fermented dough and bring together. 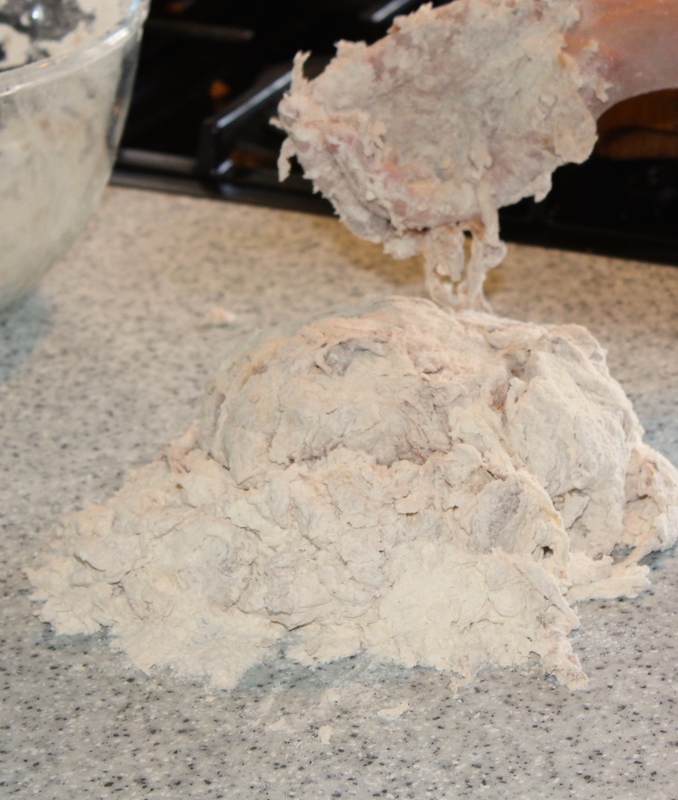 When it starts to come together, turn the dough out onto your work surface (do not flour it) and knead until smooth and elastic (10 – 15 minutes by hand). The dough will be very stiff to start with but keep persevering! When kneaded, sprinkle the raisins over the dough and knead them in until evenly incorporated. Lightly flour the same bowl as before, put the kneaded dough back into it, cover with clingfilm and leave to rest at room temperature for about an hour. Line two large baking trays with grease proof paper and lightly dust them with flour. 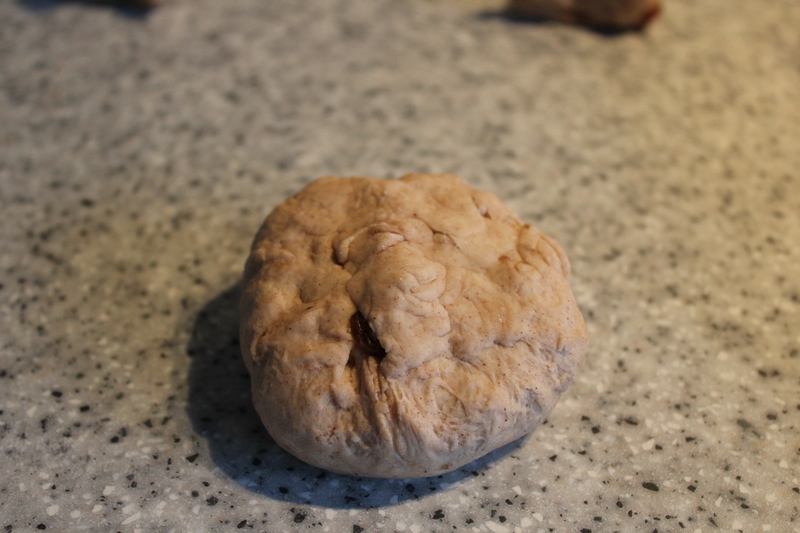 Tip the dough out onto a lightly floured work surface and divide into 12 equal pieces, about 90g each. To shape into bagels shape each piece of dough into a ball. Make sure when you pinch the bottom of the ball together, squeeze and push it so hard that the seams almost disappear. Push a floured finger into the centre of each ball to create a hole. 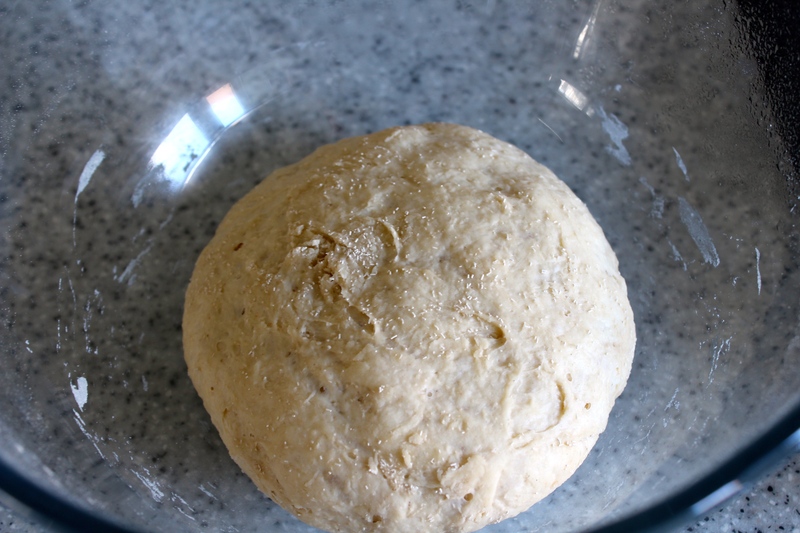 Using your fingers, squeeze and stretch the dough to make the hole bigger (to about 3/4cm in diameter). 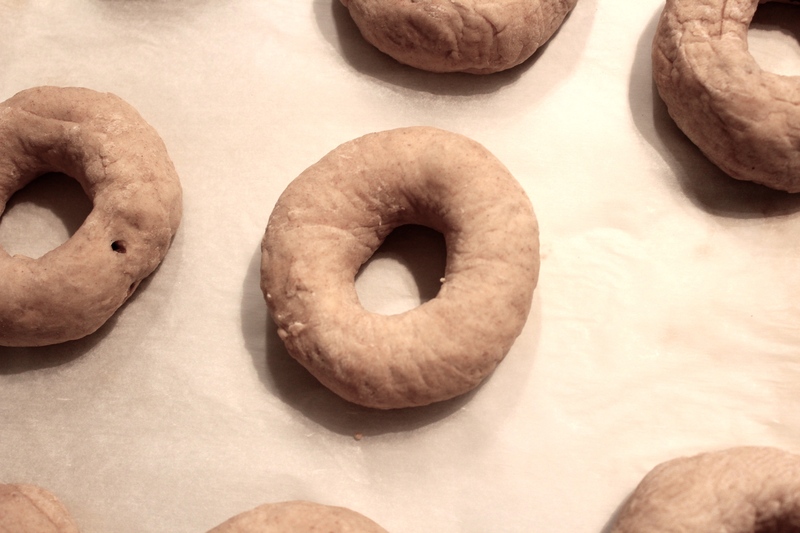 You should end up with an even circle of dough around the hole. Place the shaped bagels on the trays, and then place a lightly floured piece of clingfilm on top to loosely cover the bagels. 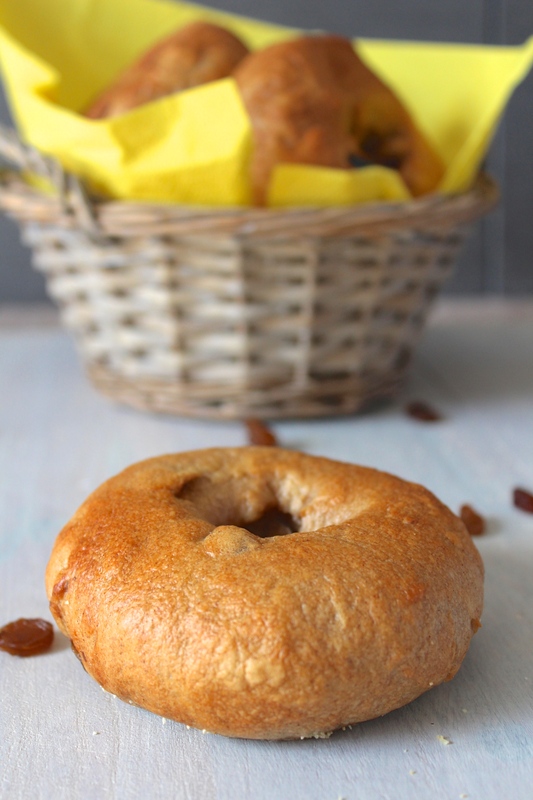 Leave the bagels to prove, ideally at room temperature for 1 hour, or overnight in the fridge (note: if you plan to prove overnight, only shape the bagels right before going to bed and then follow the next steps when you get up in the morning – otherwise the bagels will be over-proved). When proved, bring a large pot of water to the boil with the pinch of bicarb. Line a large baking tray with grease proof paper and lightly cover with the polenta or semolina. 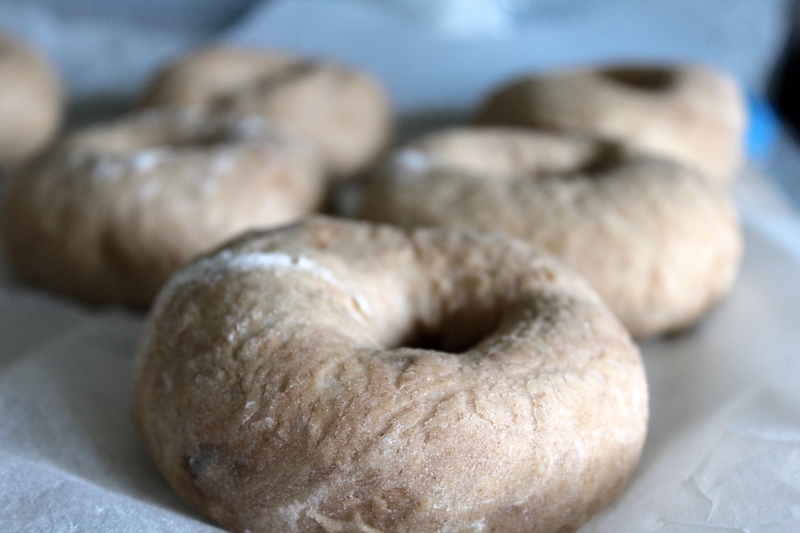 Boil each bagel for 30 seconds on each side – being careful not to over crowd the pot. Using a slotted spoon, remove the bagels from the water and place on the trays – don’t worry that the bagels will be quite wet. When all the bagels have been boiled, bake in the preheated oven for 12 – 14 minutes. Like with all bread recipes use the timing as a guide and trust your judgement! Cool on a wire rack for at least 15 minutes before eating. They look amazing… and the pictures too. Can’t wait to try them at some stage.